Who’s up for a week of cloaks? THIS blogger. I’ll be showing off my favorite cloaks for the next week, and I’ll let a cloak be my guide for the next Seen on the Streets. Don’t forget this week’s Dress It Up challenge, either; I’d still love to see your efforts with the Cloak of the Dragonfly! 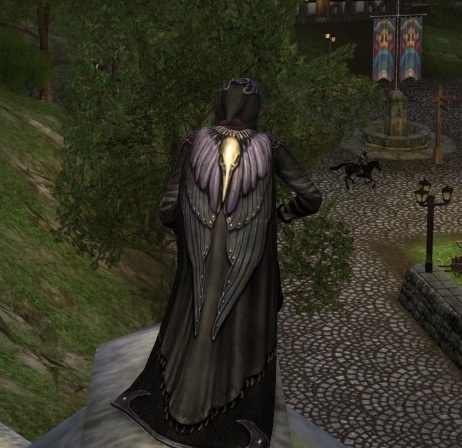 Today’s cloak choice is the Cloak of the Raven, a Fall Festival barter item alongside its partner, the Raven Festival Mask. I love this cloak. 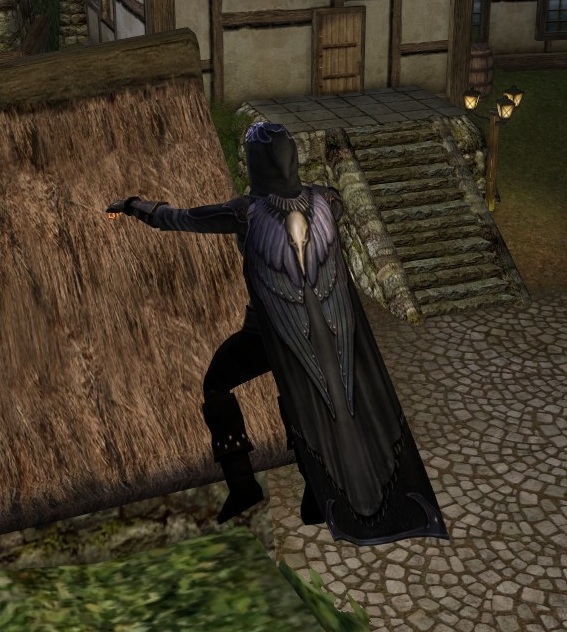 It’s not as elaborate as some of the later bird-themed cloaks added to the LOTRO store, but (in keeping with the Fall Festival/Harvestmath/Haunted Burrow theme), it can convey an ominous sort of mystery. Or not — I also wear it on at least one character due to the pretty. Either way, it’s a stunning cloak with lovely grey and blue accents, stately or grim or mysterious, depending on what you do with it. The Raven leaps from rooftop to rooftop. 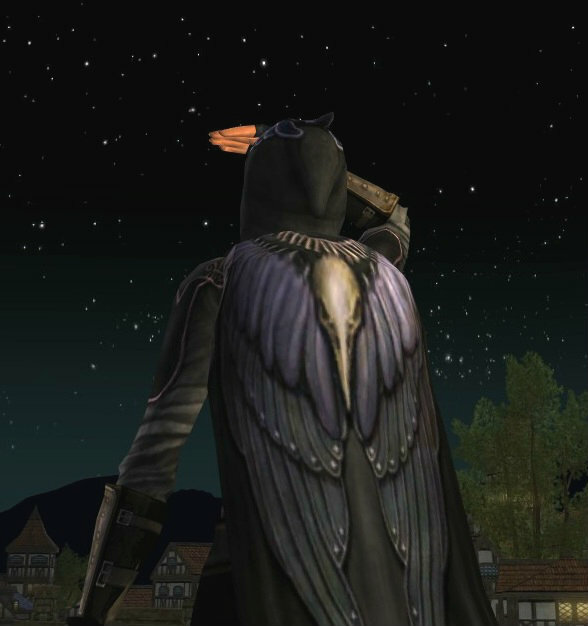 WHO watches over Bree-town in the darkest night? If you think it was immensely hard to not write Batman captions for all of these, you’re so right. Since the outfits this week are just backdrops for the cloaks, I won’t go into great detail on other pieces. Feel free to ask questions in the comments. I love cloaks. Yay for cloak week!